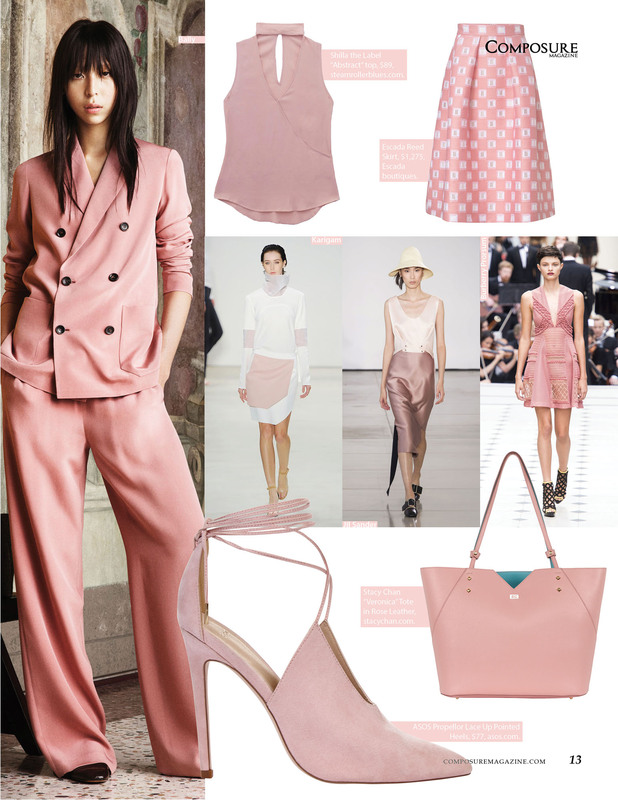 Feeling spring yet? 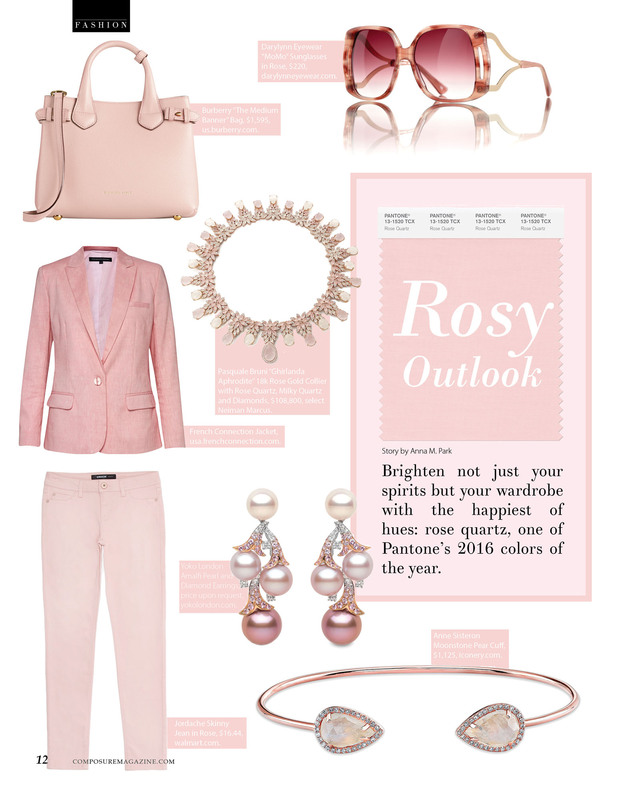 Brighten not just your spirits but your wardrobe with the happiest of hues: rose quartz, one of Pantone’s 2016 colors of the year. There’s a shade for every skin tone, and you’ll be amazed at how quickly it brightens a pale, sallow, winter-worn complexion. Read on to take a closer look at my latest story for Composure Magazine. Originally published in Composure Magazine. Buy your copy here. I’m actually hunting those gorgeous shoes down right now! haha! My size sold out when I tried to buy it, so I have it in the save list and I’m hoping it pops up!